Bob Kelly began his career in Hollywood, CA where he learned from some of television’s top producers and directors. Bob’s television credits include a wide range of shows, from the Academy Awards to Jeopardy, Soul Train and the Sid & Marty Krofft series D.C. Follies. Bob’s credits also include work for NBC in Washington, DC on Meet the Press, The McLaughlin Group and many other productions. In 1992 Bob returned home to Cincinnati to be closer to family. After working for two of the area’s leading production companies, Bob founded KPG Creative in 2002. Today, Bob serves as KPG’s President and Executive Producer. 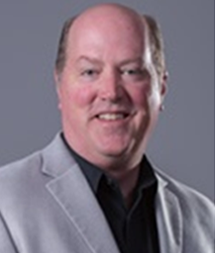 Bob is no “suit” and continues to produce and direct many of KPG’s live meetings and video productions, including projects for Panasonic, Ameritas, BioMerieux and the City of Mason.